Four or five years ago, I went through a brief phase of thinking how great it would be to run my own cafe. I was mentally picking out my crockery and decor, and which cakes I would make. Then I read a book about starting your own eatery, and it pointed out that if you like having weekends and evenings at leisure, then this probably isn’t the plan for you. That was the end of my short-lived dream, but the beginning of increased respect for anyone trying to make a go of it in the restaurant industry. Starting a new restaurant is clearly a lot of work and involves a lot of sacrifice. While I don’t want to give up my weekends to run a food business, I’m more than happy to spend my free time supporting them. Yet another all-vegan restaurant has popped up in Prague over the summer, and I’ve been along twice while they’re getting off the ground. Prague has such a thriving vegan scene that it must be a little difficult for a new restaurant to stand out and find its niche, but I think Incruenti will do well. Located near Flora mall, it’s not in the touristy city centre, but it’s easily accessible. And it’s very nice! The inside has exposed brick wall and big windows letting the light in, and there’s an outdoor terrace too. It’s a big, welcoming place. As well as a fixed menu for the evenings, there’s a two course lunch time special for about 130kr each. And that is exactly what we got on our first visit back in August. There were two options for each course. 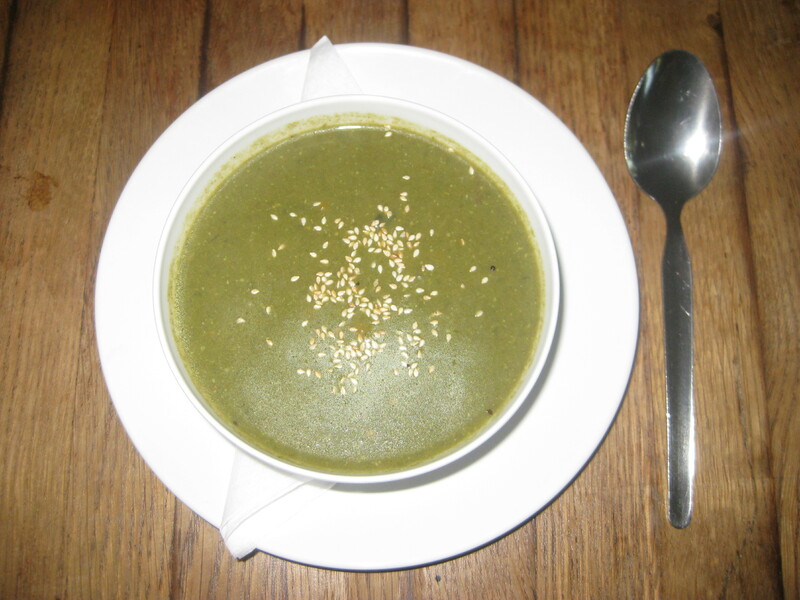 This spinach soup had slices of carrot hiding below the green surface, which was quite the surprise! It was well-seasoned and not too thin, and a very promising start. We split the main course options for research purposes. 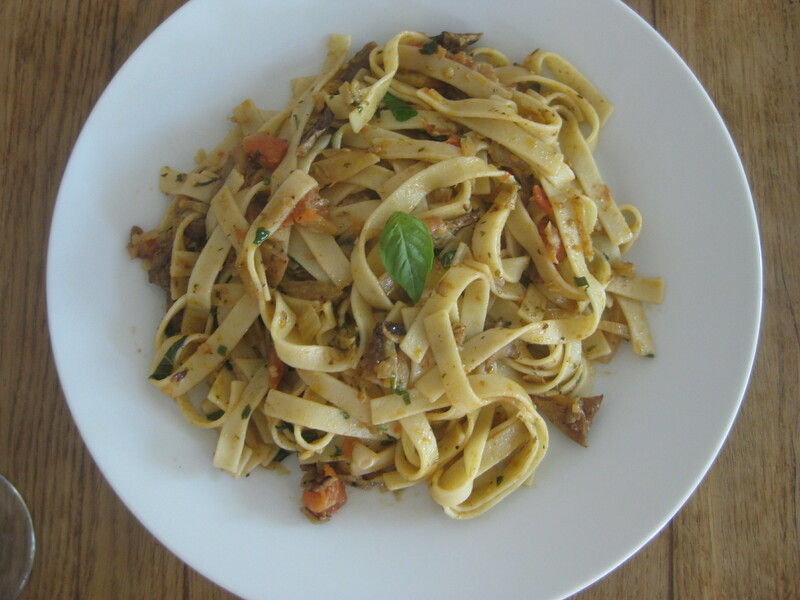 This tagliatelle was also well-seasoned and had some nice chunks of mushroom. Dr HH found it a little dry and would have liked more sauce, but I really enjoyed it. And the other option was also good. 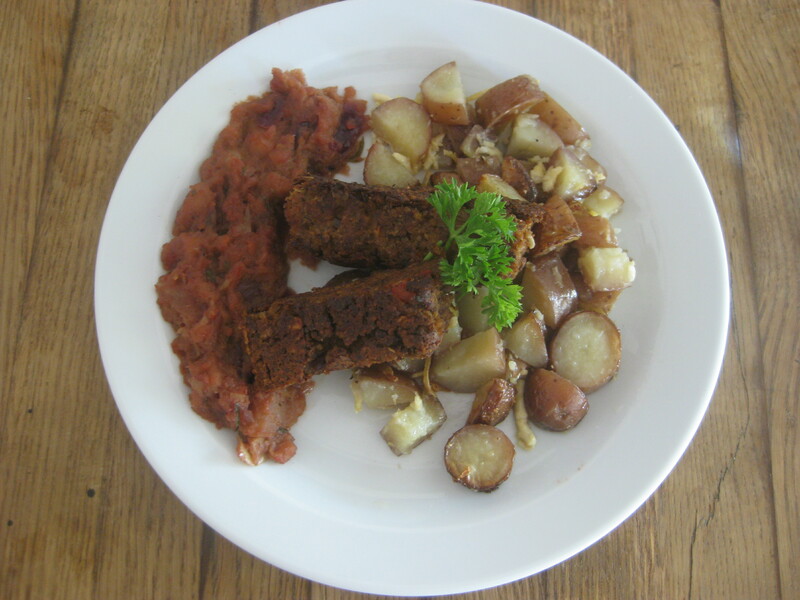 I would describe it (there was no English menu) as a lentil loaf with chutney and chunks of potato. The chutney was a touch too sweet for me, but the loaf and potatoes were both perfect. With a lunch menu this good, we were eager to return and try the evening menu. By early September, they had English menus available and things seemed to be coming together perfectly. The menu is quite small (always a good thing! ), and has a few tempting starters and mains, including two kinds of risotto (porcini and pumpkin) and tortillas. 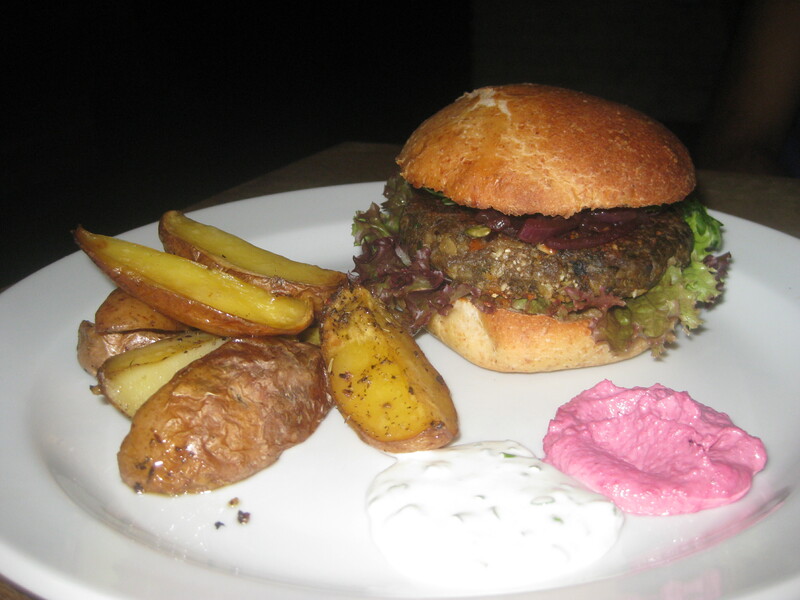 Dr HH ordered this hearty burger: the patty had mushrooms, seeds, carrots and made a good faux-meaty texture. He loved it! There was some mustard and caramelised onions in the bun, which added even more flavour. The wedges were fine, but could have been crisper. I couldn’t resist the homemade ravioli. There were three different kinds of pasta, three different kinds of filling, and three different sauces on top. I enjoyed that variety, and there were some really good flavours. 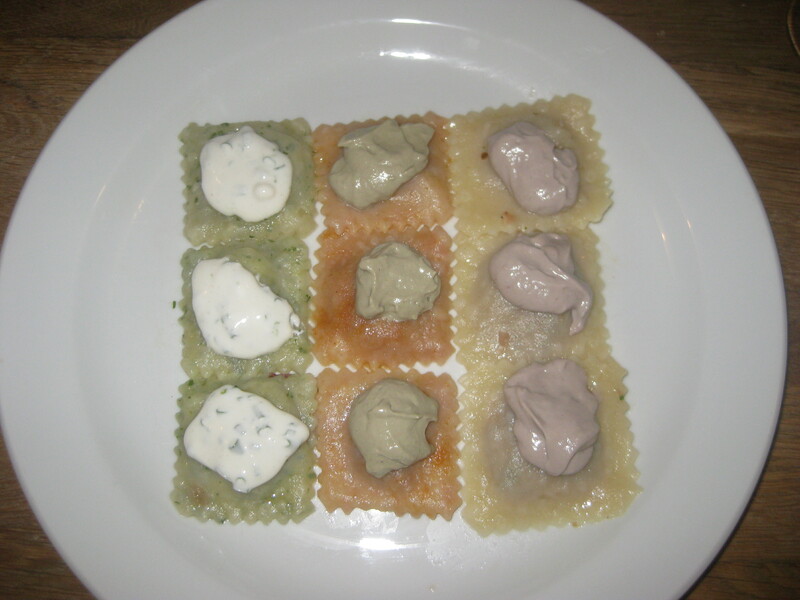 The ‘normal’ pasta-coloured ones were the best: the sauce was good and garlicky, and the filling had a bit of a kick to it. They were all delicious though! Dr HH was absolutely stuffed after his burger, but I still comfortably had room for dessert, so we ploughed on. When we went for lunch, I’d been too full for the baked fig dessert, and Dr HH had barely stopped fantasising about it since. So he was devastated when they revealed they’d run out for the evening. 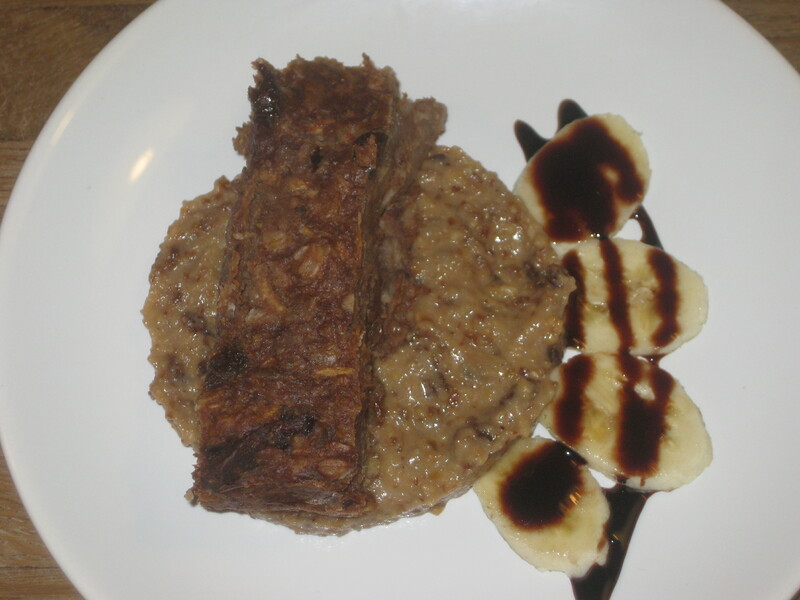 We both ordered the alternative, an oat, chocolate and banana cake. The cake was sitting on a kind of porridgey mixture, with lots of banana and nuts. The cake was the real highlight, with melting chunks of chocolate and the perfect texture – a bit like a banana bread. It was intriguing and nice! I am adding Incruenti to the list of places I would strongly recommend for visitors to Prague. There seems to be a tendency to stick to the city centre restaurants like Maitrea and Lehka Hlava, but venturing further afield can be very rewarding – especially when it’s such a short, easy journey as this one. Definitely put Incruenti on your Prague itinerary! 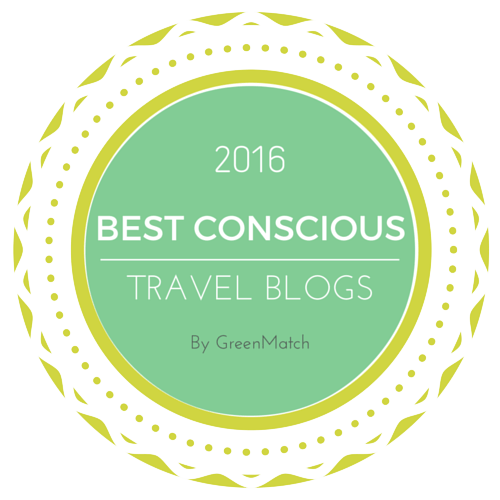 This entry was posted in Travel and tagged Incruenti Prague, vegan Prague, vegan travel. Bookmark the permalink. That pasta looks like a work of modern art – very cool. I think I’d be all over that burger too. I need to find an excuse to come back to Prague, clearly! Definitely, there’s always something new to discover here! Yes, it makes it easier to understand why a lot of vegan places have patchy hours when they’re starting up. You’re lucky to have a donut place, that’s one thing we’re definitely lacking in Prague!